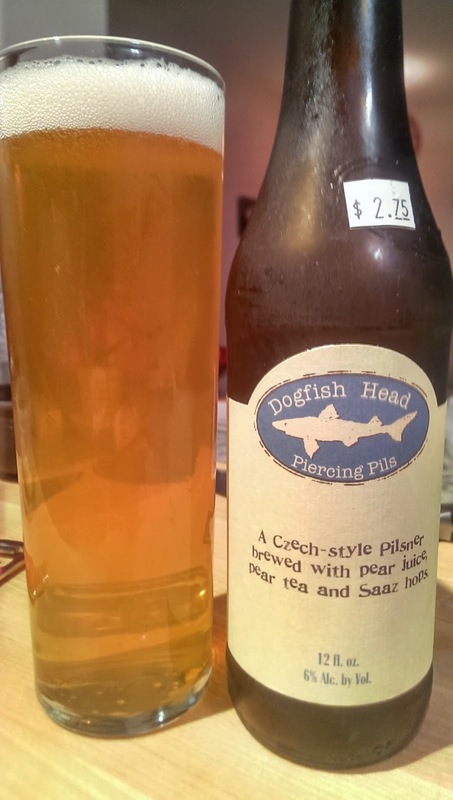 As I've come to expect from Dogfish, this is very tasty and just 'off centered' enough to be memorable. Even though this beer in particular is not terribly complex, it does have a set of subtle, delicate flavors from the "pear juice" and "pear tea" that exist nicely with the mellow pilsner base. I have no idea what pear tea is (nor do I care), but I do know I like pear juice, so win I guess. This has a surprisingly high NSP, so I would say go for it.